Custom Components of Eagle River, Inc. was formed by Glenn Schiffmann in 1990. The original business plan was to provide open wall framing packages (shells) to other residential and light commercial builders in the Eagle River area. This initial strategic blueprint has changed dramatically since its early inception. Through ever changing land use policies, customer requests and visionary goals, Custom Components has grown into a seamless service group of complimentary companies sharing common objectives. Custom Components out grew their first business location which was formally a potato and beer warehouse in downtown Eagle River in less than three years, and thus the start of the seamless service growth trend began. In 1992, Custom Components purchased the former Simpson Electric manufacturing facility on Willow Street to house its rapidly expanding business. This was the first in a series of 19 separate real estate purchases which now place 17 + acres in contiguous ownership as it stands today at the intersection of state highways 45, 17, 70, 32 and Willow Street in the City of Eagle River. In the fall of 1997 Kwaterski Millworking of Merrill, WI was purchased by Schiffmann and his childhood friend David Cox. The need to control the manufacture of interior and exterior construction materials fostered this expansion and Custom Millworking Inc. was born. Custom Millworking moved into a new 20,000 square foot facility in the spring of 1998 with state-of-the-art millwork equipment and spray booths to handle the growing needs of Custom Components and area contractors. Custom Components homes gradually took on a new appearance as Custom Millworking featured custom interior and exterior packages in a variety of styles and colors complimenting their Northwoods settings. A separate 20,000 square foot materials storage facility was built in 1998 to improve production, scheduling, material handling and the protection of these materials from the adverse elements in the northern climate. Market trends and a global influence on construction materials validated the need for this facility and introduced Custom Components to the advantages of volume purchasing. This new purchasing power enabled Custom Components the ability to provide fixed priced contracts and the additional security of a contracted price for their customers throughout the construction process. 1998 also saw how persistence and again a vision provided one of the jewels of the north that has become known as “Bradford Point.” Schiffmann and partner Don Eliason showed how a large size development can “fit” in the north woods and become a beautiful asset when man and nature combine. Completing the project in 5 years and finishing 5 years ahead of schedule, Bradford Point is a project that will never be duplicated in setting or beauty in northern Wisconsin. In the fall of 2001, Custom Components established a new corporate identity to take charge of its growing general residential and commercial contracting business. This company became known as CornerStone Custom Builders Inc. and has grown to build over 100 residential homes in 2006. Custom Components continues to provide open wall component framing packages to CornerStone as well as expanding its original business-to-business sales of framing components to other builders. These independent contractors can then take advantage of component construction techniques to increase both the quality of their homes and their own bottom lines. When CornerStone opened its doors, it did so in three separate communities. CornerStone not only assumed control of the three Eagle River models from Custom Components, but also constructed three more models in Rhinelander and two in Minocqua. All locations are staffed with a dedicated sales team that can assist clients throughout the building process. Each sales model features a different tried and true floor plan complimented by the latest product lines and current trends throughout the building industry. The present models receive more than 100 visitors a day during the peak summer season. Aside from its models, CornerStone remains a true custom builder and will build in all sizes and price ranges from a shell to a complete turn key home. 2002 saw the dual ground breaking of two commercial buildings in Eagle River constructed by CornerStone. The River Valley Bank property located where the AmeriGas Company bulk storage tanks once stood, and the Eliason Realty building that replaced the old Video City structure, now stand tall changing the landscape of a sleepy Eagle River intersection into a busy professional business corridor setting. In December 2003 it was moving day once again as CornerStone and Custom Components moved their corporate headquarters across the street to the second floor of the River Valley Building. This move allowed Custom Components to reacquire manufacturing space that had been taken up by their corporate offices. In August of 2003, this space was filled with a new fully automated open wall component manufacturing system which not only helped improve efficiency, but also greater product output and quality control. 2003 to 2005 ushered in several new opportunities for Schiffmann and CornerStone in the area of large scale development. In the spring of 2003 CornerStone was chosen to site develop and general contract the Wild Eagle Resort Complex on Otter and Duck Lakes located on the Eagle River Chain. Phase I and II of the Wild Eagle Resort was completed in the spring of 2003 and 2004 respectively and a revival of the Northern Wisconsin resort was re-established in the form of a 76 unit resort complex. 2005 also saw the reacquisition of the adjoining Bolger Funeral Home property that was originally involved in a Custom Components land swap in 2001. This building played host to the First Realtor & Mortgage Lenders Open House, aimed at networking and displaying the seamless service group that CornerStone Custom Builders, Custom Components, and Custom Millworking offers their clients. In 2006 and 2007 this building became home to Lake Shore Realty and Mid Wisconsin Bank adding to the core of professional office buildings at “CornerStone Corner” as it has become known to be. 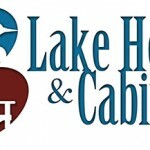 Marketing and networking were a common theme in 2005 as CornerStone exhibited in the inaugural Lake Home and Cabin Show and introduced the “Realtors on the Go” incentive program. 2016 recently marked the 12th consecutive year the CornerStone sales team traveled to their clients backdoor exhibiting in Madison and Chicago at the Lake Cabin and Home Show. In the fall of 2005, in pursuit a of securing winter time construction projects for his company, Schiffmann developed the Lake Forest Landing project on Voyager Lake in Eagle River for the Michelson Brothers. The newest development on the Eagle River Chain was a “smash hit” selling out in just three months. In January 2006 “putting the deal together” took on a new meaning for Schiffmann when he purchased the entire Lake Forest Golf Course, Fitness Center, and surrounding developmental properties with partners Jim and Mike Origer. “The potential of this development is very attractive when you consider all the amenities that lure people to this area are right on the Lake Forest property. We could not afford to pass on the opportunity that presented itself” quoted Schiffmann. October 2006 marked the latest acquisition for Custom Components when Cranberry Products Inc. was purchased. Schiffmann’s long term goal of securing indoor covered trailer storage would now became reality in this 60,000 square foot building. With the addition of the Cranberry Products Inc. building greater than two and one half acres of manufacturing and storage space are now under roof. In their never ending pursuit of being an industry leader in Northern Wisconsin project development, management and construction, CornerStone was selected as the general contractor for several larger projects in 2007. The ground breaking of the Kee-Mi-Con Lodge at Eagle Waters Resort, Copperwood Condominiums on Duck Lake and Tall Pines Condominiums on the “Eagle River,” put CornerStone on track for another solid year of residential and commercial construction through out the Northwoods. During the economic downturn in 2008 & 2009, Schiffmann was highly praised for keeping his employee’s working, creating a complete line of Outdoor Adirondack Cedar furniture which they sold through partnership with local vendors in the surrounding communities keeping his home manufacturing team intact. CornerStone has continued its long tradition of community partnerships, supporting many local youth events and organizations. One program that has gained state wide recognition is the sponsorship between CornerStone and the Northland Pines High School Building Trades Program. This award winning program and partnership has been credited for taking the financial burden off the district tax payers, while allowing a core class to remain in the engineering and technology department’s school curriculum. In 2012 CornerStone and the Northland Pines School District were the recipients of the Standing Up for Rural Wisconsin Schools, Libraries, and Communities Award presented by Tony Evers, the Wisconsin State Superintendent of Schools at the State Capital. 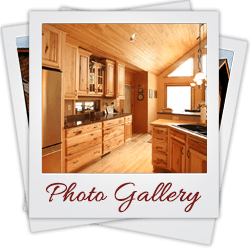 In 2012 CornerStone also received State and National recognition upon the completion and certification of the GreenStone, a Green Built Model Home located on the Minocqua campus. At the time, CornerStone was one of only three builders in the state of Wisconsin to achieve this level of certification. 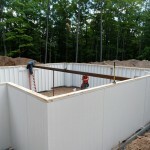 For the past several years Schiffmann and his staff have been developing an innovative product, Epitome Quality Foundation Walls, which was introduced to the building industry in 2013. The newly formed company, Composite Panel Systems LLC (CPS), presently holds 10 patents for this revolutionary new product, and was acknowledged with two prestigious awards by the American Composites Manufacturers Association (ACMA) at the 2014 CAMX Show in Orlando, Florida. Epitome Quality Foundation Walls is sure to turn heads, fostering a paradigm shift from concrete to fiberglass panel foundations for generations to come. Custom Components of Eagle River Inc., Custom Millworking Inc., CornerStone Custom Builders Inc., and Composite Panel Systems LLC have all experienced tremendous growth in the past 28 years under Schiffmann’s leadership and vision. Schiffmann has been an innovator in the Northern Wisconsin Home Building circles that has built hundreds of homes in the Eagle River area, employing over 100 different local subcontracting companies, which in turn has employed hundreds of local tradesmen.